Tu B'Shevat Higiya, Chag Ha'Ilanot! 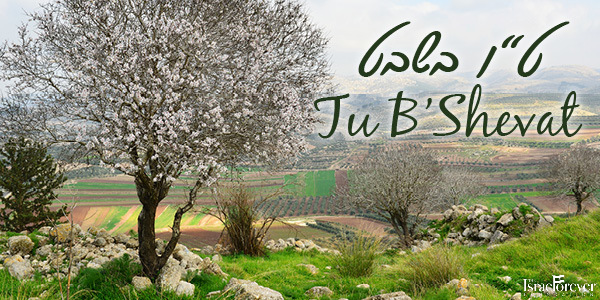 Tu B'Shevat has arrived! 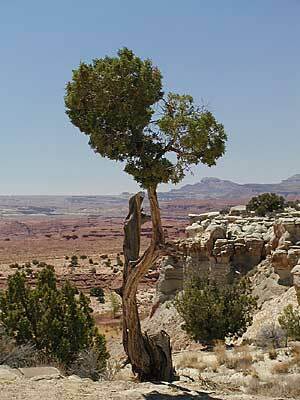 The "New Year of Trees!" 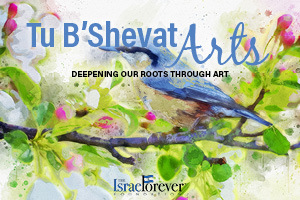 In Jewish tradition, Tu B'Shevat, the New Year of Trees (often referred to as the Jewish Arbor Day) is celebrated on the 15th (TU = ט"ו) day of the Jewish month of Shevat שבט. This is one of the 4 New Years mentioned in the Mishnah. Known in Israel as "Chag Ha'Ilanot" (Ilan אילן= tree), we honor this day when budding fruit enters a new year of life and the first bulbs of spring are beginning to bloom. The spiritual connection of this special holiday is that this date is used to calculate the age of fruit-bearing trees in the Land of Israel. This is important for the practice of tithing, so that fruit from trees may not be eaten during the first three years of a tree's life. The fourth year fruits were intended to be used in Temple ceremonies, based on Leviticus 19:23-25). Additionally, knowing the age of a tree allows us to honor the law of shmitta שמיטה, when the fruit of the land in the seventh year cannot be eaten, used or sold. Both of these perfect examples of the ecological integrity of Judaism! 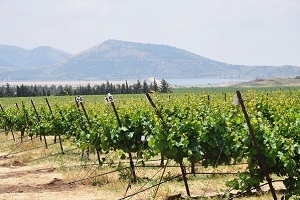 The rabbis chose the 15th of Shevat because it is in the midst of Israel's rainy season, rather than during the seasons of agricultural planting. Thus, the fruit of the trees that bloom before Tu B'Shevat would be counted toward the previous year, and those budding after Tu B'Shevat would be the first fruits of the new "tree year." 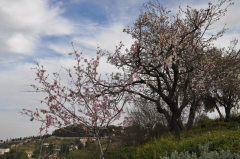 As the almond (shkediya שקדיה) trees and other early bloomers awake from the winter slumber, sap begins dripping through the trees throughout Israel and a new fruit-bearing cycle begins. For the LORD your God is bringing you into a good land—a land with brooks, streams, and deep springs gushing out into the valleys and hills; 8 a land with wheat and barley, vines and fig trees, pomegranates, olive oil and honey. 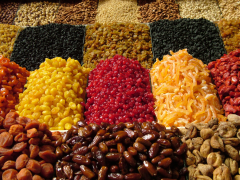 Israelis commonly exchange gifts of dried fruit with loved ones, a tradition drawn from the years of Diaspora Jewish life in Eastern Europe and elsewhere when they couldn't get fresh fruits in the winter with which to celebrate. Today, in the markets throughout Israel, dates, pomegranates, olives, avocado, persimmon, oranges, carob, sabres (cactus fruit), and other beautiful fruits are transformed into delicious delectables to be shared by family and friends. 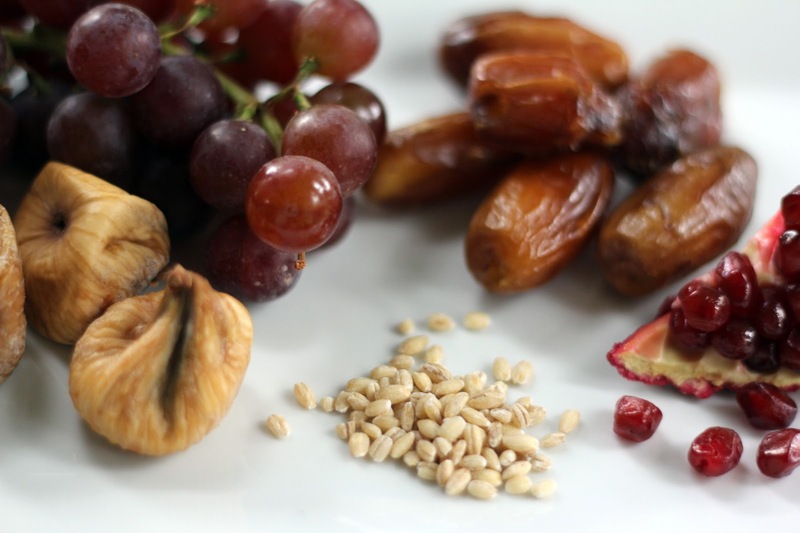 Some people observe Tu B’Shvat by tasting 15 (“TU”) different types of fruit! 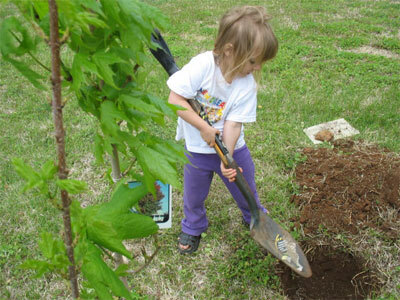 The most common tradition of all for the celebration of Tu B'Shevat is to plant new trees. While the holiday doesn't really have anything to do with planting trees, the idea may be borne from the mitzvah known as "yishuv ha'aretz," יישוב הארץ, settling the land. This doesn't only speak to the ingathering of Jews to make their homes here in the Land of Israel. Yishuv HaAretz invites Jews from all over the world to join in the effort of working hand-in-hand with the land, to make the desert bloom, to grow roots in our ancestral soil, and to ensure another generation of trees will prosper for the next generation of Jews in Israel and throughout the world to enjoy. This beautiful mitzvah requires us to develop the natural world to provide for our needs, including a suitable place to live, work, learn, and serve our Creator, and also to develop appropriate systems for the supply of food, energy, water, and transportation needs. This must be in balance with other considerations including the ecological integrity of the land. 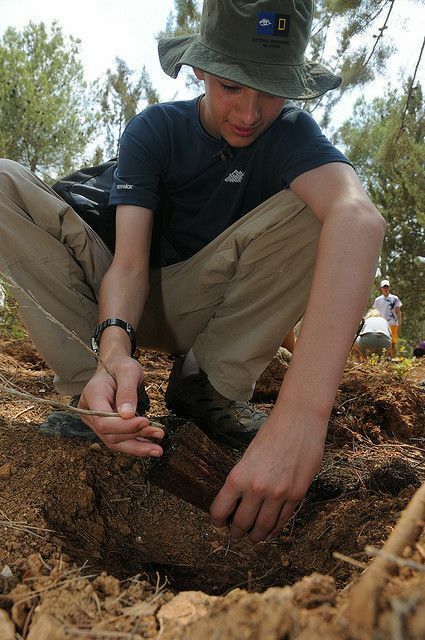 As a result of this love for planting trees in Israel, by Israelis and the important contributions by Diaspora Jews from all over the world through the efforts of the Jewish National Fund/Keren Kayemet L'Yisrael, Israel was one of the only countries to end the last century with more trees that it had 100 years earlier! 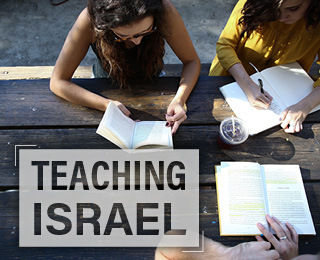 Our connection to the land can be increased by learning of the significance of trees and their fruit to the life and land of the Jewish State. Just as a tree needs water, pruning, and attention to extend its life, so, too, is our relationship with Israel – with proper care, we can perpetuate a love, respect, and pride in our homeland! Now YOU can Plant Israel at Home!